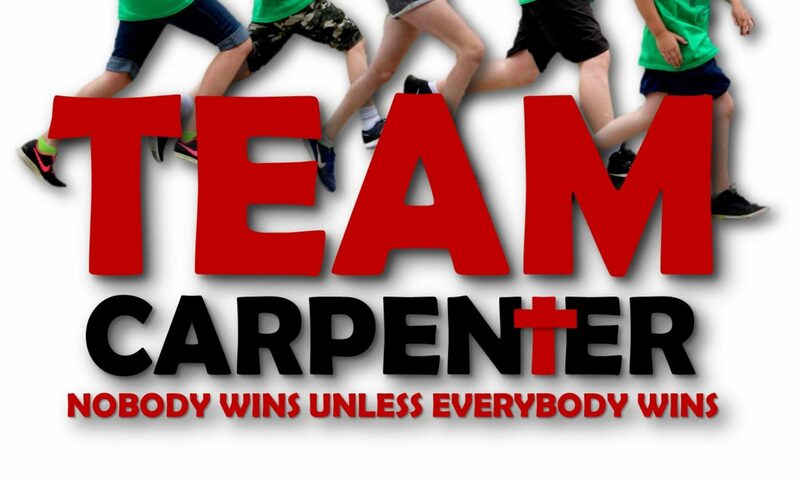 What is Team Carpenter? 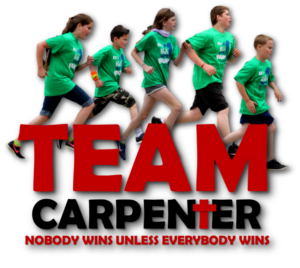 We are a faith based group committed to fulfilling our mission of spreading the “good news” of Jesus through healthy, character building and fun family oriented sports, recreation and wellness programs. We also provide free race timing and event management for organizations that are serving those in need. We don’t preach, we just “act” like Christians. We are open to anyone of any faith….you don’t have to be a Christian…. we would love to share the joy of being active and living a healthy lifestyle with you and your family!!! Nobody wins unless everybody wins…. “Nobody wins unless everybody wins”…….It’s actually something that Bruce Springsteen said just prior to performing a concert version of his song Born To Run. We teach our youth athletes that we all are created differently and perfectly by God. We set personal goals and work hard (with our team mates) using our God given gifts to achieve them. Team Carpenter was officially “born” on Saturday, July 23, 2016. The “race services” division has now timed 9 races free of charge to the sponsoring non-profit organization (Saved each group approximately $1,000 in race timing fees) Each non-profit organization that we have timed for is staffed almost entirely by volunteers. These organizations, while not all are specifically faith based, they are reflecting Christ and serving as his hands and feet in their respective communities. 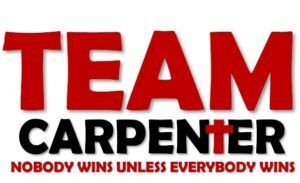 Team Carpenter is currently privately funded and will remain that way. Moving forward it is hoped that the “race services” division will generate some revenue to subsidize the equipment and help underwrite the costs of the youth and other programs that we provide to deserving youth and families. Team Carpenter is working towards obtaining 501 (c) 3 status so that we can accept charitable contributions and avoid sales tax for things that we purchase to operate our programs and activities. All volunteer organization founded in 1948 provides support and pays medical/prescription bills for individuals struggling with Cancer in Cuyahoga Falls. NEW FOR 2019, WE ARE ASSISTING THE FALLS CANCER CLUB WITH THE LAUNCH OF A BRAND NEW RACE ON THE 4TH OF JULY. 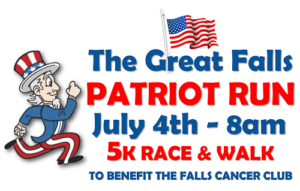 WATCH FOR DETAILS OF “THE GREAT FALLS PATRIOT 5K RUN/WALK” COMING SOON! Click Here for a sneak preview of the Great Falls Patriot 5K Run/Walk. Conducted by Coach Dan Lancianese and Alumni of the St Vincent St Mary High School Cross Country and Track teams. Proceeds fund a scholarship for any student pursuing a degree in special education in memory of Matt Kauffman, a SVSM alum killed in a tragic accident while in college. This year’s event will be on Saturday, August 10, 2019. Conducted by the volunteers of the Faithful Servants Medical Mission. Proceeds offset the cost of providing free of charge medical care for individuals and families who do not have health insurance. This year’s event will be on Labor Day, Monday, September 2, 2019. We would love to hear from you. Please use our contact form below and we will respond as soon as possible. Thanks!